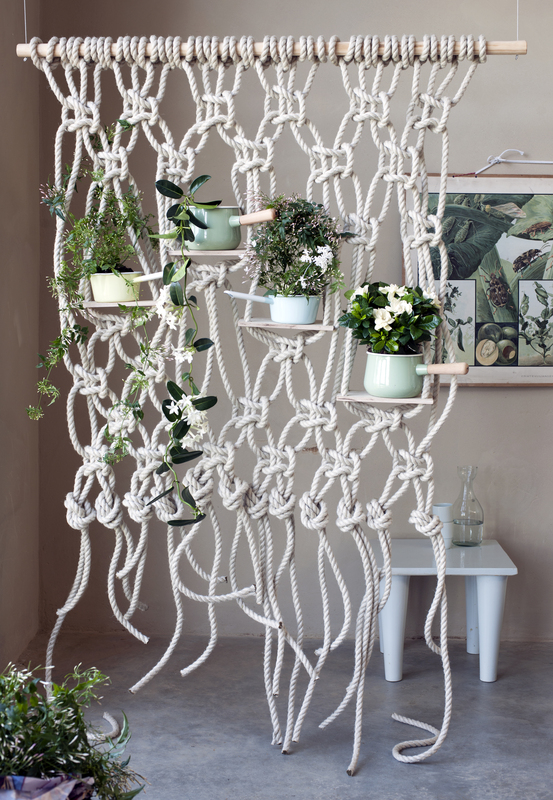 This artistic ropework not only creates an original room divider, but also provides scented white bloomers such as Stephanotis and Jasmine with a sturdy base on which to climb and allow their attractive tendrils to wander. The Gardenia always keeps its branches and flowers neatly under control, so it provides an attractive upright counterpoint. These three beautifully scented white bloomers are the Houseplants of the month for March. 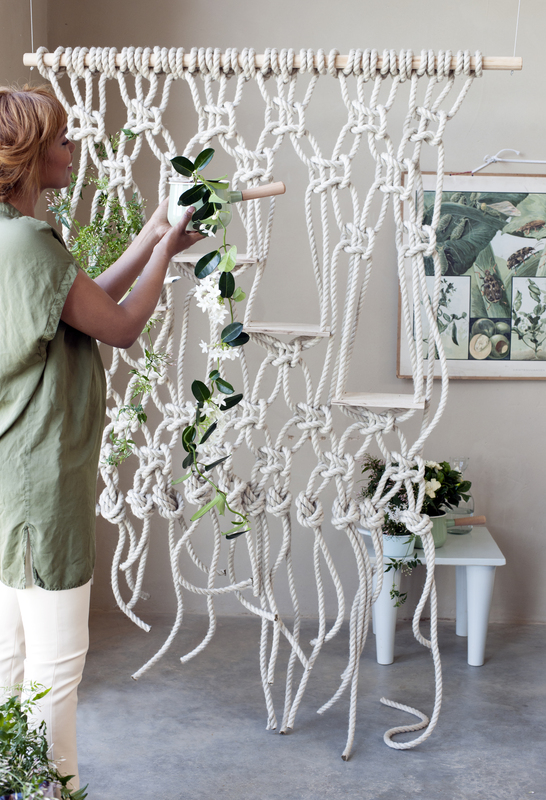 Lovely to look at, an experience in the home, and this piece of macramé is easier than you think! 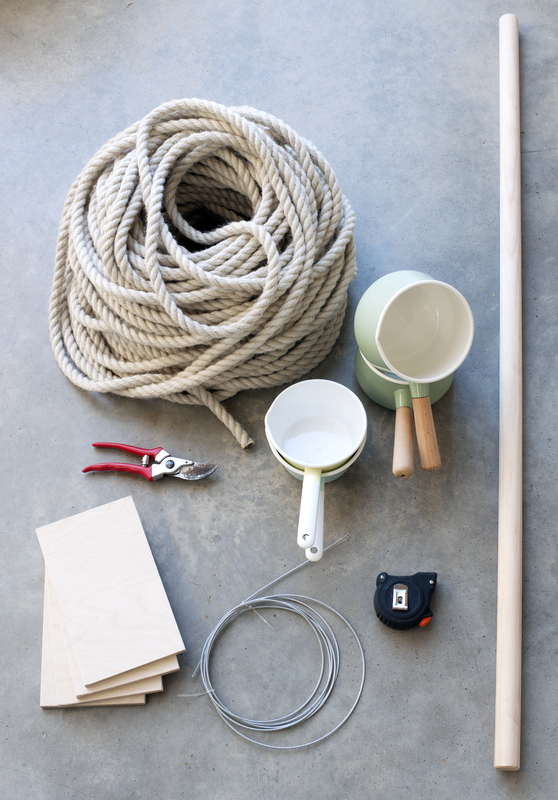 Hang the pole from the ceiling and tie 24 ropes to the pole to create 12 pairs. Tie the ropes with a crown knot. You can find technique and the variations here. Drill holes in the corners of the planks, feed the ropes through, make sure they're hanging straight and make knots at the bottom so that the plank is secure. 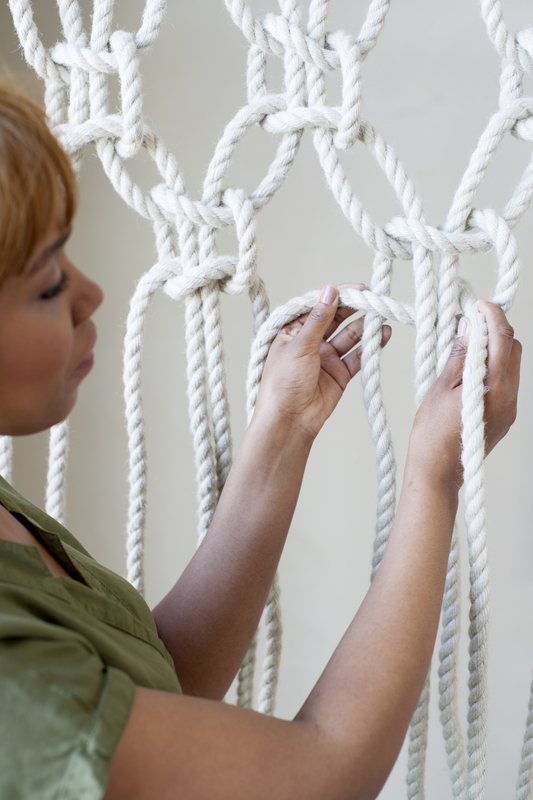 Keep knotting until the rope runs out. Plant the houseplants in the saucepans and distribute them across the planks. Stephanotis and Jasmine are usually supplied with a frame. If you carefully loosen it this duo will immediately look more exciting and the tendrils can wrap themselves around your ropework more easily.